You—or your robot or your VA or your screen-scraping software—sent me a connection request and I accepted. Then you—or your robot or your VA or your screen-scraping software—pitched me. Maybe it was to schedule a free, no-pressure "second opinion call." Maybe it was to download your free report or watch your on-demand presentation. 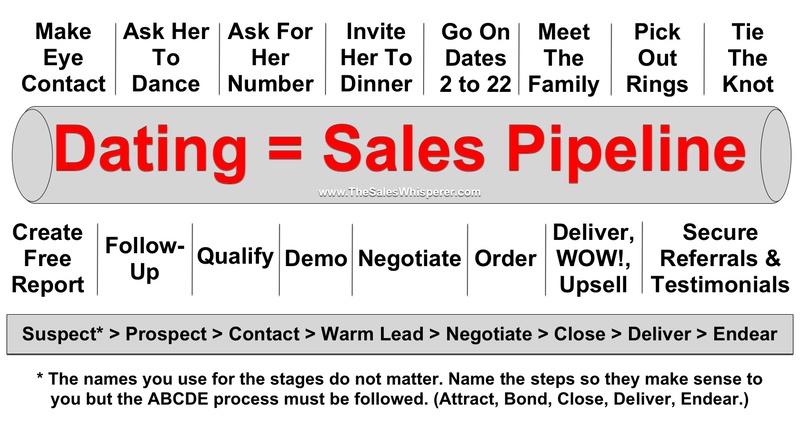 Regardless, this happens to me so often I decided to make this blog post and share this graphic that I had previously only shared with paying clients in my sales training program. Though I've been married since Sept 30, 1995—and have the scars and 7 kids to prove it—I still remember my dating days, which were remarkably similar to my selling days. It looks like the image below. While it's usually okay to skip one or even two steps, doing so greatly reduces your chances at finding your soul mate and reaching decision makers at your ideal companies. Creating strong human relationships takes time. So strive to A) have a process for selling, and B) have the discipline to follow it. 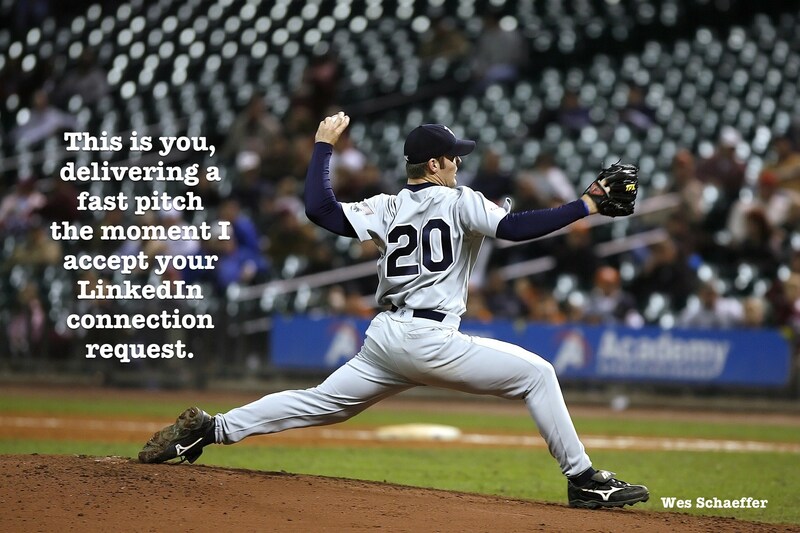 Your spray-and-pray, pitch-and-ditch LinkedIn "prospecting" may be working for you to a degree right now, but I guarantee you it's due primarily to just the law of averages and is diminishing in effectiveness daily. I know I ignore and/or delete and/or remove the connection with 99.9% of people like you who pitch me right away on LinkedIn. Is this how you want to grow your business? I guess we'll see how you respond to this post.